The Supreme Court of India on Thursday set aside the judgment (The State Rep. by Inspector of Police Q Branch CID Thoothukudi vs. Mariya Anton Vijay, Criminal Appeal No. 836 Of 2015) of the Madras High Court quashing the initiation of criminal proceedings against 35 crew members of a US ship M V Seaman Guard Ohio who were arrested for illegally carrying a large cache of arms and weapons on the vessel and straying into Indian waters and asked the trial Court in Thoothukudi in Tamil Nadu to complete the trial within six months. The 35 crew members, of whom 11 were Indian and remaining foreign nationals, were arrested on October 18, 2013 by Tamil Nadu police after it was intercepted by the Coast Guard. They were booked under provisions of the Arms Act and the Essential Commodities Act. The vessel was carrying 35 firearms, 5,682 rounds of ammunition and 102 magazines without any documents and authorization certificates. Advanfort Company, which owned the ship, its director-operation Mohamed Frajallah, a resident of Washington, were also issued non-bailable warrants by the trial court in the case. A bench comprising of Justice Vikramajit Sen and Justice Abhay Manohar Sapre set aside the order of Madras HC which had quashed the proceedings against the crew members on the flimsy ground that the arms and ammunition were part of the ordinary armament of the vessel and were exempted under the Arms Act. The court said that it was for the trial court to decide after going through all evidence whether the arms and ammunitions were exempted under the Arms Act and the Madras High Court crossed the 'Lakshman Rekha' in quashing the trial. "We find that firstly, there was no evidence adduced by the accused to prove that huge quantity of arms and ammunition including prohibited category of arms which were seized from the vessel formed part of the ordinary armament or equipment of their vessel within the meaning of Section 45(a) of the Arms Act. Secondly, this stage had in fact not reached and in the meantime, the high court interfered with causing prejudice to the rights of the parties and especially to the prosecution, who were unable to prove their case and lastly, in the absence of any finding on this issue, the impugned order cannot be sustained," the bench said. "The very fact that huge quantity of arms and ammunition were recovered from the possession and control of the crew members from the vessel and, further during investigation, the crew members were unable to satisfy their legal possession over such arms/ammunition with them by not being able to produce any evidence such as licenses, certificates etc," the bench said. "It was sufficient to attract the provisions of Arms Act for initiating prosecution of the accused for commission of the offences punishable under the Arms Act, namely, for possessing unlicensed and unauthorized arms/ammunition on the vessel," it said. 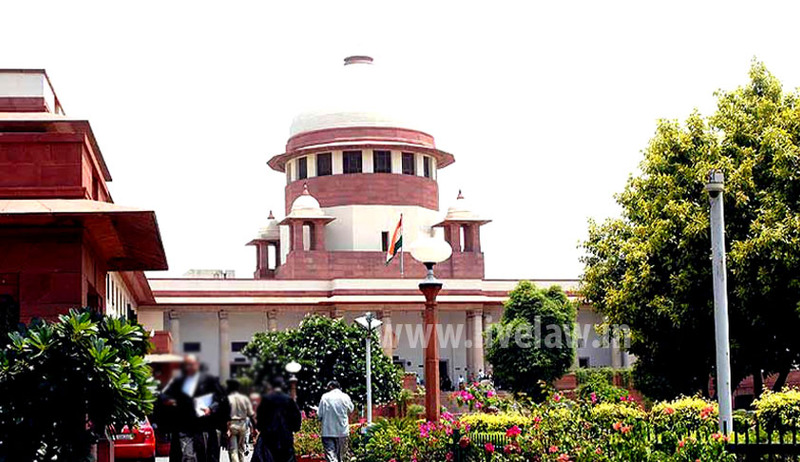 "In our considered opinion, this was a case where the HC should have dismissed the revision filed by the accused under Section 397 and also the petition filed under Section 482 of the Code and remanded the case to the Trial Court to proceed in the case to enable the prosecution to adduce evidence on merits in support of the charge sheet after framing of the charges and also allow the defence to lead their evidence so as to bring the case to its logical conclusion in accordance with law," it said. The ship crew was also accused of illegal purchase of 1,500 litres of diesel from local agents. The captain of the ship, Dudinik Valentyn, and other crew members had alleged that the vessel had entered territorial seawaters of India only after they were asked to come to port for taking shelter to escape from the cyclonic weather conditions in the Bay of Bengal. They contended that based on the Doctrine of Innocent Passage as envisaged in section 3 of the United Nations Convention on the Law of the Sea-1982, no charge could be leveled against the crew. The bench, however, said that it is for the trial court to decide these issues and crew members can adduce evidence in their defence there. The Coast Guard authorities had detained the ship on October 11, 2013 off Tuticorin port on charges of trespassing in Indian waters and police arrested them on October 18. The bench also directed the lower court in Thoothukudi in Tamil Nadu to complete the trial in the case within six months from the date of receipt of the copy of its judgment.